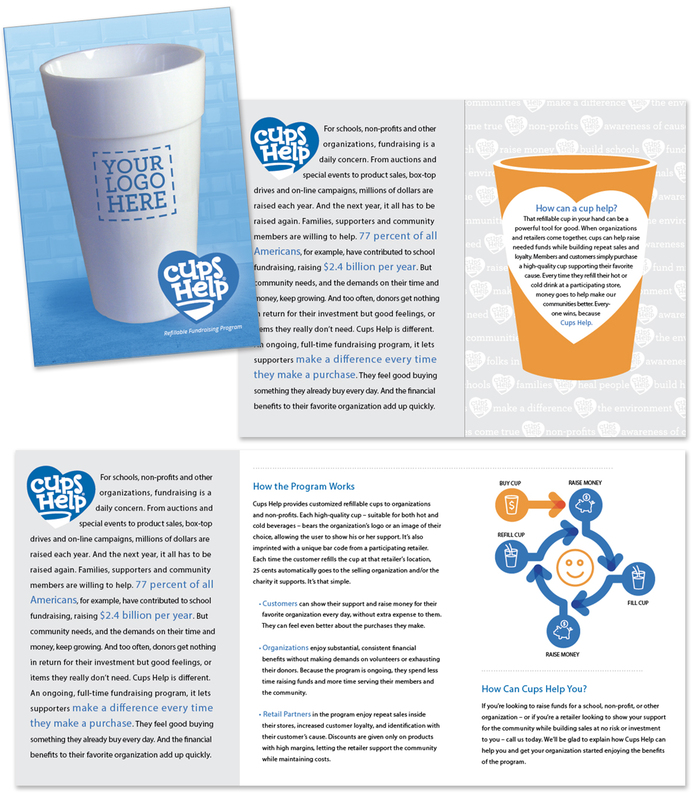 Cups Help is an innovative fundraising program for schools, community organizations, and nonprofits. 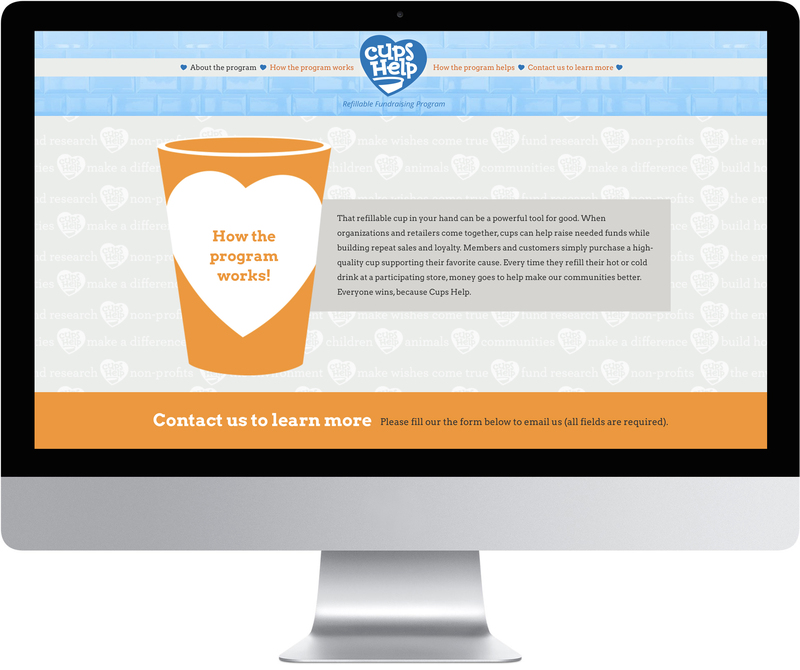 Light-hearted and inspiring, our logo design and interactive website for Cups Help conveys the power of community and strength of compassion. The responsive one-page website transmits a wealth of information in a user-friendly format. Visitors can choose to scroll through the page or navigate the site’s content using the menu at the top of the page. Using a playful font, the heart-shaped Cups Help logo is cheerful and inviting. It’s the perfect backdrop for a brand built around customer and cause loyalty.